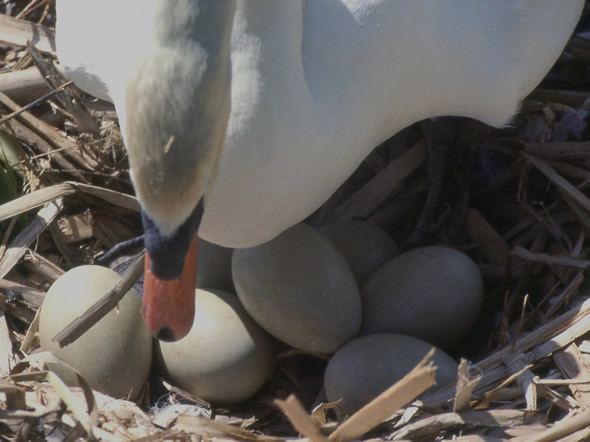 a Mute Swan who is looking after the next generation. Hello there and welcome to another issue of Whispers, the newsletter of the Dereila Nature Inn - your virtual nature centre. 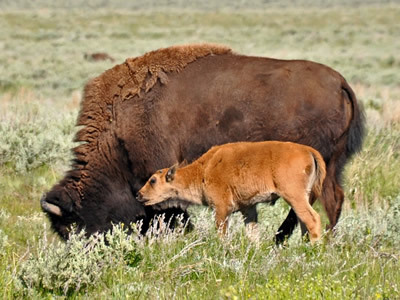 The month of May is an exciting time for nature lovers. 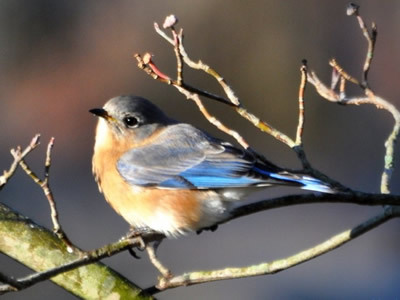 Millions of birds are migrating to their summer breeding grounds and all around us there are buds, blossoms and new growth to enjoy. May is also the anniversary month of Whispers. It was 6 years ago that our first issue went out and it's hard to believe how quickly those years have gone by. We really appreciate your support, positive feedback and encouragement. Many thanks for subscribing! 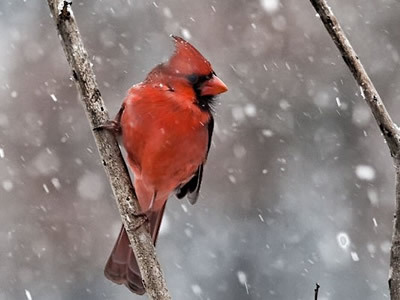 There are lots of great pictures for you to enjoy this month, as well as a joke about a coyote and a farmer, some trivia and news and updates. We hope you'll enjoy this issue. Which European Tree is the longest living? We've got an easy one for you this month. We had a terrific response to our request for photographs to celebrate Earth Day. Here's another great selection of submissions from our friends of the Inn. regulars, Judy Howle, Columbus, Mississippi. taken by Gail Freiherr, Knoxville, Tennessee. 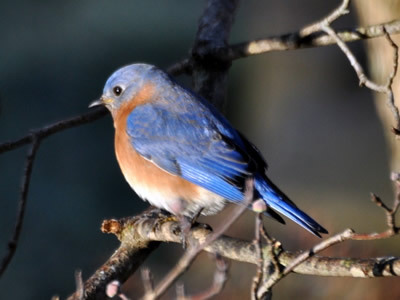 Gail also sent in this lovely female Eastern Bluebird. 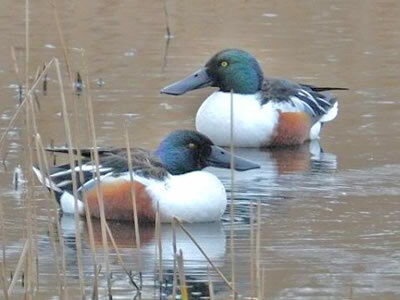 spotted these two stunning Northern Shovelers. Susan Asis Kalman, Flushing, New York. Many thanks to Judy, Gail, Eileen and Susan! 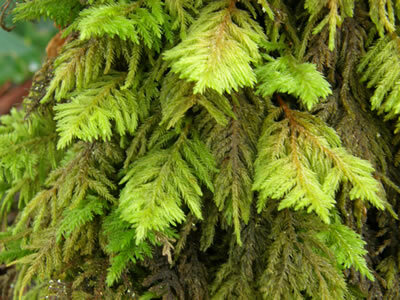 This month we have chosen to highlight our At-A-Glance Guide to Mosses page. 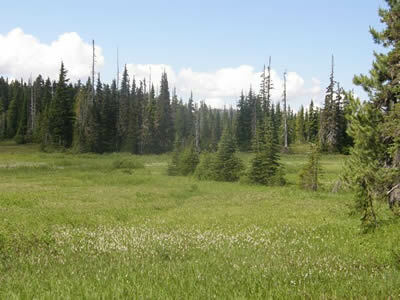 It features over 50 mosses which we hope you'll find interesting. 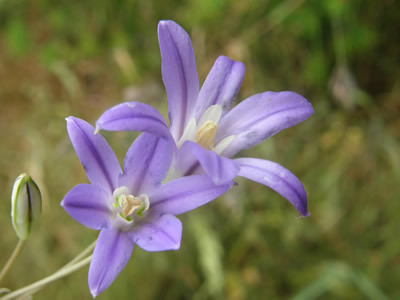 This month we have a pretty wildflower from our wanderings. Lily family of plants. The flower is at its best when its leaves are withered. 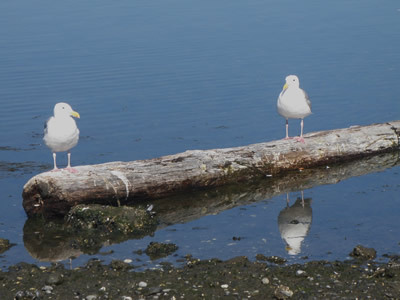 What do you think these two gulls are saying as they find themselves on a log? We welcome your caption ideas and have supplied two to get you thinking. Number one: "Hello there. Can you give us a push off?" Number two: "When did you say it was going to be high tide?" 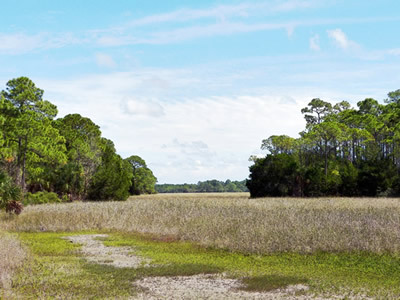 This serene place is the Lower Suwannee River in Florida. You can see a large amount of Seagrass. 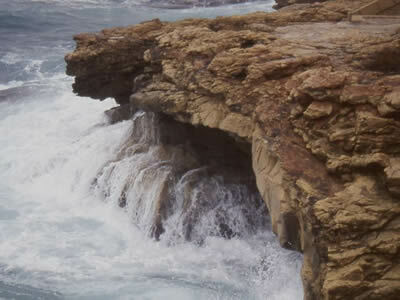 in this photograph for us to enjoy in this section. 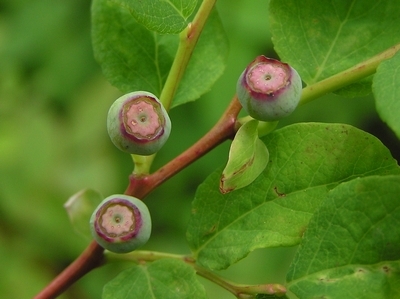 Oval-leaved Blueberry, has the scientific name Vaccinium ovalifolium. It is interesting that the Latin and the common names actually correspond. Vaccinium is Latin for blueberry and the species name, ovalifolium, refers to the oval shape of the leaf (folium). A coyote was driving his car carefully along a narrow country lane when all of a sudden a farmer pulled out of a field driving a huge tractor. 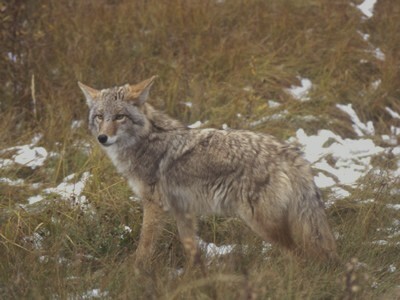 The coyote reacted quickly and turned into the field avoiding the tractor. Thinking he was lucky to escape, he turned the car around and went after the farmer. When he stopped the farmer he said, "Do you realize we nearly had a accident back there?" "Yes," replied the farmer, "I just got out of that field in time." "But I wasn't planning on going into that field." for our 6th Annual Earth Day Photographic Extravaganza Celebration! You can see the wonderful results by clicking here. Don't throw away those egg shells! They make a great bird food supplement since they are about 95% calcium carbonate and can be a source of calcium especially for female birds when they are producing their own eggs in the spring. 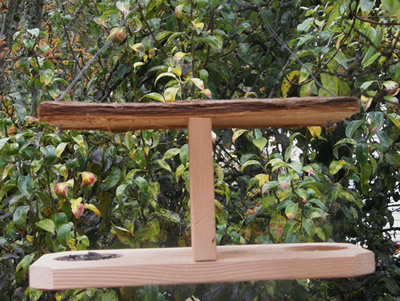 You can use this feeder to make an attractive platform for the shells. 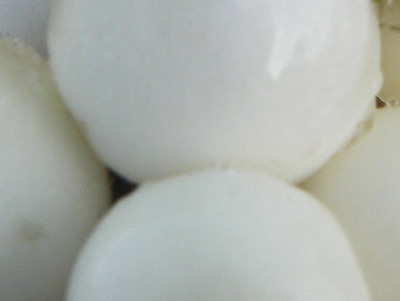 Rinse the egg shells thoroughly and then bake for 20 minutes. 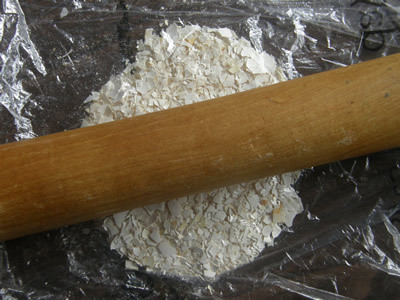 When cooled, pop them in a plastic bag and use a rolling pin to crush them to crumb size. 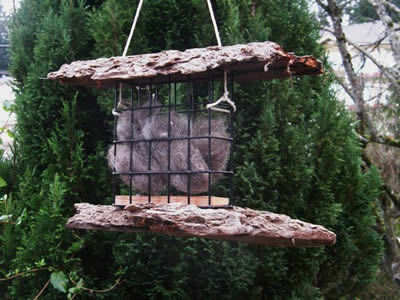 Place the crushed shells in the feeder or mix them with your normal bird seed. As it's nesting time, birds are looking for nesting material. 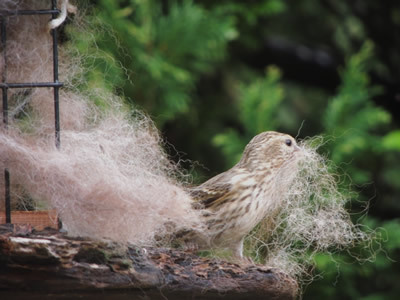 You can help them out a bit by filling one of your suet feeders with hair, short pieces of string and other similar materials. 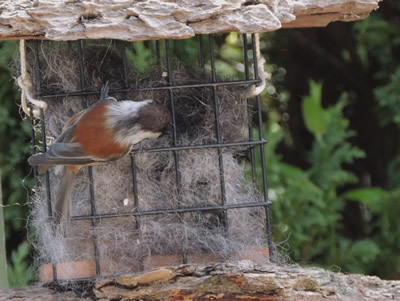 This Chestnut-backed Chickadee is helping itself! This Pine Siskin grabbed just a bit more to make its journey and search worthwhile. To make these material holders, click here for one and here for another. There are lots of celebrations coming up to tell you about this month. 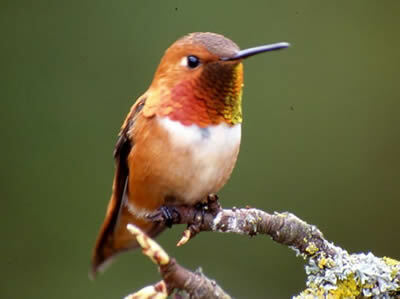 Migratory Bird Day on May 11. Click here for more information. 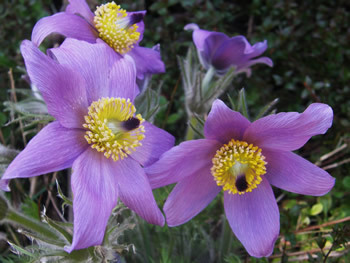 Celebrate the International Day for Biodiversity of May 22. World Environment Day is coming up on June 5. 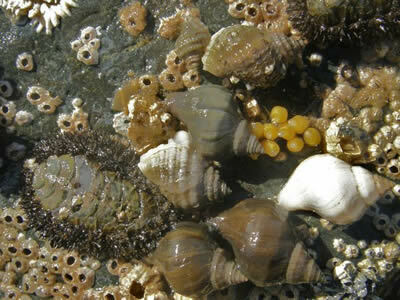 Mark your calendars for World Oceans Day on Saturday, June 8. 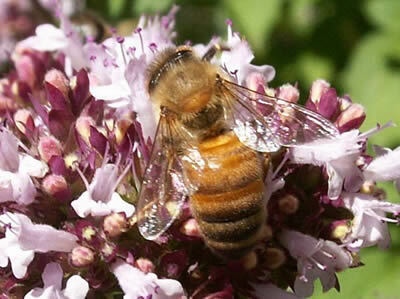 National Pollinator Week from June 17-23. More about that next month. 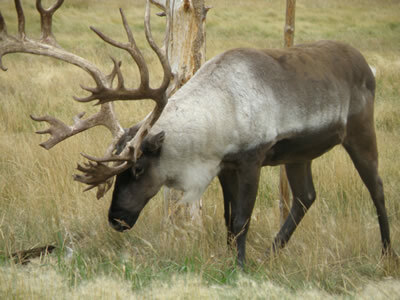 name for this magnificent animal. Xalibu means "the one who paws." 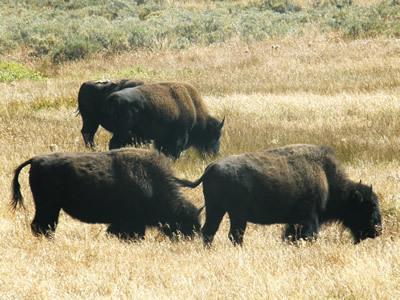 Manitoba, Kansas, Oklahoma and Wyoming have all chosen the American Bison as their official mammal. You can browse through our collection here. 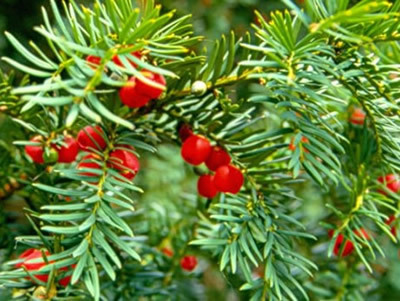 The European Yew, Taxus baccata, is considered to be the longest living tree in Europe. It is a slowing-growing conifer and some are believed to be 2,000 years old! 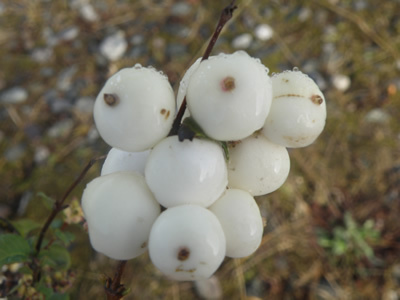 Our mystery image is a bunch of Snowberries, Symphoricarpos albus. Watch for the next issue of Whispers in your inbox during the first week of June. See you then. Best wishes everyone!